September story: Fall doesn't arrive until Sept. 23, but as far as Hollywood is concerned, the fall movie season begins immediately after Labor Day. Instead of the mega-budget comic book driven pictures that kept multiplexes packed this summer, we'll be seeing lots of adult appeal dramas with Oscar potential. The buzz will shift from being about superheroes and special effects to being about film festivalsand critics. The four day Labor Day weekend brought a mixof new films, including Broad Green Pictures' R rated adult appeal adventure comedy drama "A Walk in the Woods" ($10.5 million with a $12.5 million five day cume) and EuropaCorp. 's PG-13 rated action crime thriller franchise reboot "The Transporter Refueled" ($9million). Both of last weekend's top two films were late summer holdovers.Tristar Pictures and Affirm Films' PG rated faith-based drama "War Room" finished first with $12.6 million and a $27.9 million two week cume. Universal and Legendary Pictures' R rated urban music drama "Straight Outta Compton"placed second with $11.1million and after a four week cume of $150million. Looking ahead, here's a quick look at what's opening wide through the end of the month. This weekend brings Universal Pictures and Blumhouse Productions' horror comedy "The Visit,"at about 2,800 theatres. 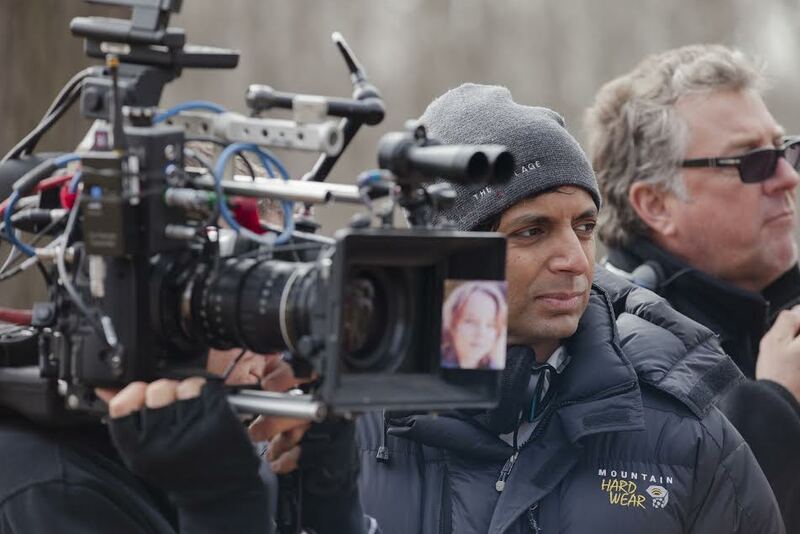 It's director, M. Night Shyamalan, is well known for directing such hit thrillers like"The Sixth Sense," "Unbreakable," "The Village" and "Signs. "Shyamalan was Oscar nominated in 2000 for directing and writing the original screenplay for "Sixth." "Visit" stars Olivia DeJonge, Ed Oxenbould and Deanna Dunagan. Like most horror genre films, it should play best to under-25 females. In "Visit," things go very wrong when a single mom sends her two young children to visit their grandparents, whose house rules most importantly include, "Don't ever leave your room after 9:30 p.m."
Also arriving is Screen Gems and Sony's PG-13 rated thriller "The Perfect Guy" at about 2,800 theatres. Directed by David M. Rosenthal ("A Single Shot"), it stars Sanaa Lathan, Michael Ealy and Morris Chestnut. "Perfect's" story, which should play best to adult women, revolves around lobbyist Leah Vaughn (Lathan), who after a painful breakup jumps into a passionate new relationship with a charming stranger (Ealy). When her ex-boyfriend (Chestnut) turns up again, she must determine who to trust – andwho to fear. Sept. 18 will be a busy weekend at the multiplexes with four wide openings. Two of those films are already being talked about aslikely awards contenders in multiple categories. And both of them shouldhave an Oscar buzz going after having just played very well -- both were shown out-of-competition -- at the 72nd annual Venice Film Festival (Sept. 2-12), the world's longest running film festival. Universal, Cross Creek Pictures and Working Title Films' PG-13 rated 3D IMAX epic adventure "Everest" kicked off the Venice festivities Sept. 2. 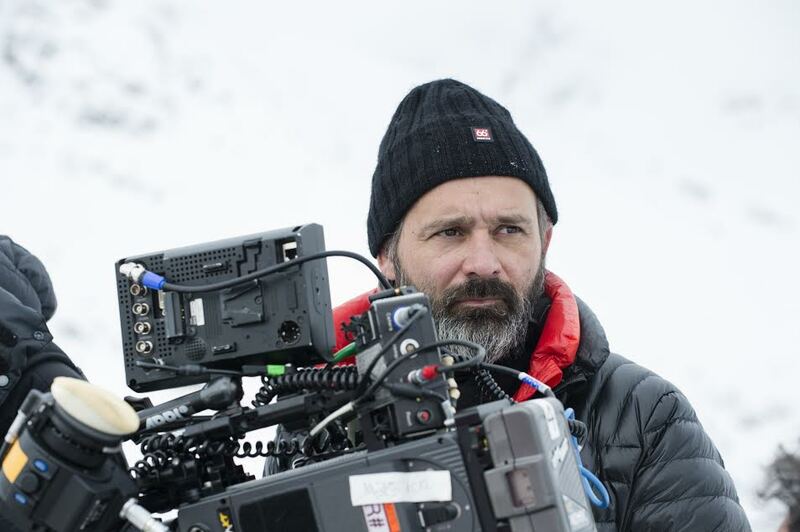 Directed by Baltasar Kormákur ("Two Guns"), its ensemble cast includes Jake Gyllenhaal, Keira Knightley and Robin Wright. After launching Sept. 18 in 3D IMAX and limited engagements, it goes wide Sept. 25. It should play best to adult men and also to women over 25. "Everest" is inspired by the incredible events involving efforts to reach the summit of the world's highest mountain as two expeditions are challenged beyond their limits by one of the fiercest snowstorms ever. The action crime drama "Black Mass"from Warner Bros., RatPac Entertainment and Cross Creek Pictures world premiered to a great reception in Venice Sept. 4. It also was very well received at the 42nd annual Telluride Film Festival (Sept. 4-7) in Colorado. Directed by Scott Cooper ("Out of the Furnace"), it stars Johnny Depp, Joel Edgerton, Benedict Cumberbatch and Dakota Johnson. It should play best to adult men. "Black" is based on the true story of one of the most notorious gangsters in U.S. history. 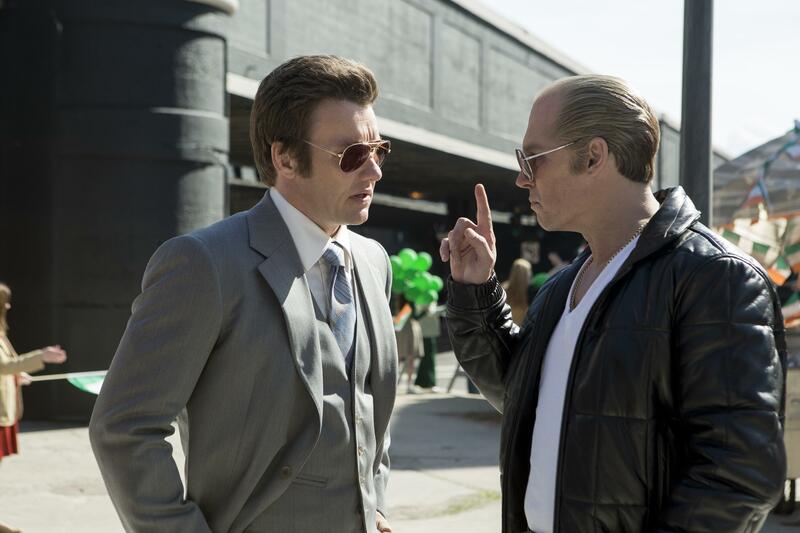 It's set in 1970s South Boston, where FBI Agent John Connolly (Edgerton)persuades Irish mobster "Whitey" Bulger (Depp)to help the FBI eliminate their common enemy, the Italian mob. Their unholy alliancespirals out of control, enabling Whitey to evade law enforcement and consolidate his power. 20th Century Fox's PG-13 rated sci-fi action thriller "Maze Runner: The Scorch Trials" also checks in Sept. 18. Directed by Wes Ball ("The Maze Runner"), it stars Dylan O'Brien, Kaya Scodelario and Thomas Brodie-Sangster. It should play best to under-25 males. In this new "Maze Runner" franchise episode, Thomas (Dylan O'Brien) and his fellow Gladers face their greatest challenge as they search for clues about the mysterious and powerful organization known as WCKD. Their journey brings them to the Scorch, a desolate landscape filled with unimaginable obstacles. There they join forces with resistance fighters, taking on WCKD's vastly superior forces while uncovering its shocking plans for them all. The first "Runner" opened Sept. 19, 2014 to $32.5 million and ran up a domestic gross of $102.4 million. Paramount's PG-13 rated crime thriller "Captive"opens semi-wide Sept. 18. Directed by Jerry Jameson ("Last Flight Out"), it stars Kate Mara, Michael Kenneth Williams and Mimi Rogers. "Captive" should play best to adult men. Its story centers on a single mom struggling with drug addiction, who's taken hostage in her apartment by a man on the run after escaping from jail and murdering the judge handling his case. Sept. 25 will usher in another crowded weekend that includes the "Everest's" wide release. Columbia and Sony Pictures Animation's PG rated 3D monster comedy adventure "Hotel Transylvania 2" is the fall's first animated family feature. Directed by Genndy Tartakovsky ("Hotel Transylvania"), it stars the voices of Adam Sandler, Selena Gomez, Steve Buscemi and Mel Brooks. The original "HT" opened Sept. 28, 2012 to $32.5 million. It went on to do $148.3 million domestically. In "HT2," which should play well to the moms-with-kids audiencethat animated features need, everything seems to be changing for the better now thatDrac has relaxed hisrigid monsters-only hotel policy to include human guests. But Drac's worried his adorable half-human and half-vampire grandson, Dennis, isn't showing signs of being a vampire, so he enlists his pals to put the youngster through "monster-in-training" boot camp. Warner Bros.' PG-13 rated comedy "The Intern" is directed by Nancy Meyers ("It's Complicated") and stars Anne Hathaway, Robert DeNiro and Nat Wolff. It should play best to adult women and should also do well with adult men. "Intern's" story is about Ben Whittaker (De Niro), a 70-year-old widower, who finds retirement isn't as great as they say. When he sees a chance to get back in the game, Ben signs on as a senior intern at an online fashion site run by Jules Ostin (Hathaway). Relativity Media's PG-13 rated supernatural horror thriller "Before I Wake" goes into semi-wide release Sept. 25. Directed by Mike Flanagan ("Oculus"), it stars Kate Bosworth, Annabeth Gish and Dash Mihok. It should play best to the typically under-25 female core audience for horror films. In "Wake," Jessie (Bosworth) and Mark (Thomas Jane) decide to take in Cody, a sweet 8-year-old. What they don't know is that he's terrified of falling asleep. At first, they assume Cody's previous unstable homes are causing his fears, but they soon discover the problem is that his dreams turn into reality while he's dreaming them. Bottom line:September marksthe transition from summer's popcorn movies to fall's Oscar contenders.